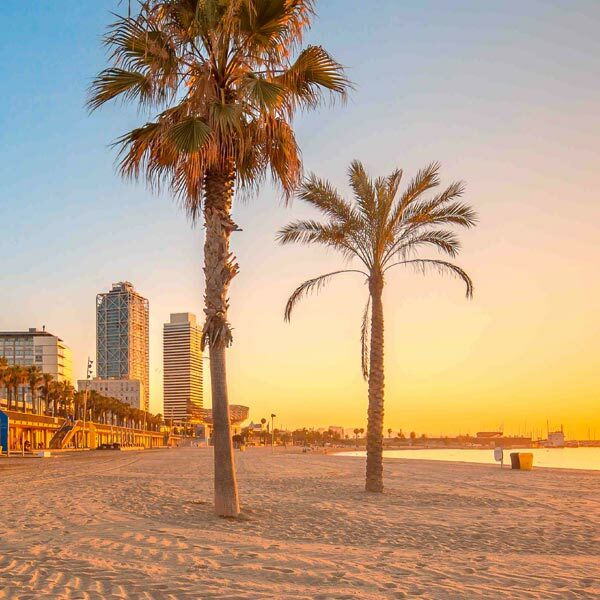 Located on the central coast of Catalonia, it offers dozens of kilometres of long beaches with fine sand, clear water and a multitude of landscapes more or less urban; from the cosmopolitan Barcelona, till the Llobregat delta tranquil beaches. Undoubtedly, it is the coast area that offers the biggest variety in leisure; as we can enter the labyrinthine streets of the Barcelona historic centre, or walk by the picturesque streets of small towns and villages that we can find along the coast. It has golf courses, natural parks, amusement parks, nautical schools, top-class restaurants or popular activities typical of Mediterranean culture. Located in a unique enclave, Barcelona coast offers a temperate climate, with hot and humid summers and mild winters, with the permission of spring and autumn, where the colours and changes of time surprise the majority, even the natives. One of the main advantages of this part of the Catalan coast is its excellent communication, both at the level of public and private transport, as it has a powerful network of metro, buses and railways, as well as a wide road network.